Get an early start on your holiday shopping! Seasonal items, numerous vendors and plenty of food will be available 9 a.m. to 4 p.m., Saturday, Nov. 4, at Pensacola State College’s Milton campus, 5988 Hwy. 90. Come out and enjoy crafting for children, rock painting, Christmas ornaments and Milton High School Band’s famous shish-ka-bobs, hamburgers, hotdogs and goodies galore. 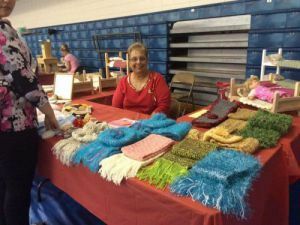 The Fall Harvest Craft Fair is held in the Bo Johnson Life Fitness Center, Building 4000. The event is a scholarship fundraiser hosted by the PSC Milton campus chapter of Phi Theta Kappa International Honors Society. For more information call PSC Marketing Director Sheila Nichols at 850-484-1428 or email BetaBetaGamma0@gmail.com.